I'm way behind in my Bible reading plan. We read a book from the OT and then the NT, repeat, and should be through the entire Bible in one year. I should be in Ezra by now. Instead I'm still reading 1st Kings. But you know, no matter which schedule I follow, God's Word is living and active and speaks to me. I just finished reading about David. God provided for him and protected him against entire armies. The Psalms he wrote still bless me. We have been harvesting an abundannce of summer fruits on the farm. It is fascinating to imagine, as we pick figs, that someone might have picked them for David hundreds of years ago. What verses are blessing you this week? Add a link to your own post sharing a Scripture and a snapshot or leave a comment with a verse that God has placed on your heart this week. Then take time to visit some of the other links, too. 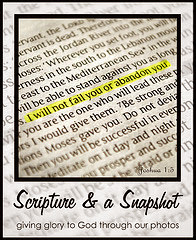 Thank you for joining Scripture & A Snapshot. 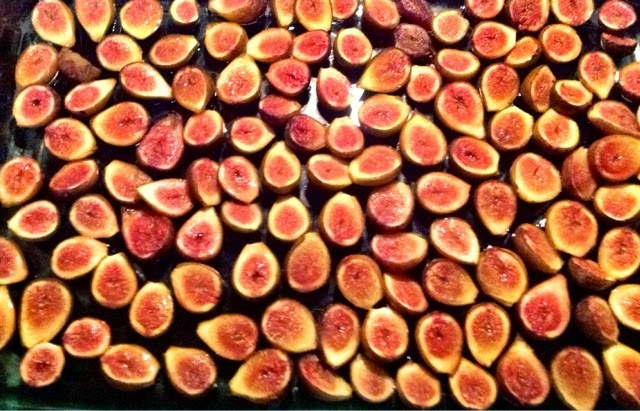 This was taken near the beginning of our first attempt drying figs. If you have fresh figs, you might be interested in these muffins, too. I love the story of Mephibosheth and David's mercy and grace towards him. Me too, Elizabeth. I love reading about David who is easy to relate to (except for the fact that he was a king) because he sinned and was so clearly forgiven and still used by and loved by God. Sometimes, it's best to focus on the quality of scripture reading as opposed to the quantity. I believe that God wants us to focus on getting HIS word rooted in our hearts. Bless You!